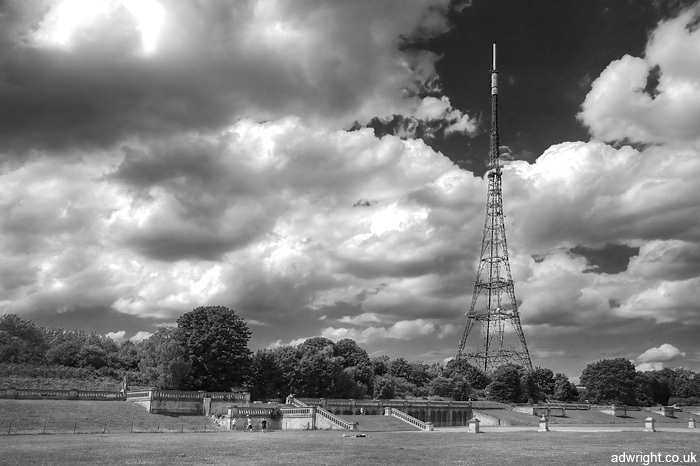 I visited Crystal Palace Park today, home to a large transmitter and the remains of Crystal Palace. It is a place that I’ve been meaning to go to for a while now! It’s a great shame that the Palace burnt down in 1936, but just visiting the site gives you an idea of the sheer scale of it. There are plans to conserve and re-develop the site, which would be great.